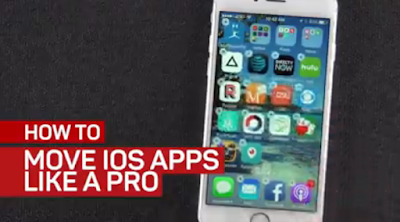 If you have lots of pages of apps on your iPhone, it can be a pain to move them around. But we have an easy solution. Rearranging apps on your iPhone and iPad is pretty easy, but moving them across screens can be a little more frustrating. There's an easy trick that solves this: use the dock. Here's how it works. If you have multiple pages of apps on your home screen, scroll all the way right to the last page. Once there, press and hold on any app to activate "jiggle mode" — be careful not to accidentally trigger 3D Touch if you're on an iPhone 6S or later. "Jiggle mode" lets you rearrange apps on your iPhone. Next, remove one of the apps from the dock and place it on that last page temporarily. This frees up a space the dock to shuttle apps back-and-forth to other pages on your home screen. To do this, drag the app you're relocating down to the dock. Scroll to the spot you want to put it. Then, drag it to its new spot. Repeat if necessary. When you're all done, return the app you took off the dock back to its place and press the home button to lock everything down. Now you can rest easy since all your apps are where you want them -- or you could finally get around to cleaning the camera on the back. See the complete article and video at www.cnet.com/how-to/rearrange-iphone-ios-apps-easy-with-this-trick/.